Audience research is important for every business. If you are a small business or a start-up you know how important it is to target the right audience. You are not a big brand with millions to spend of broad scale advertising! It is similar in personal brands as well! Before you create a social media marketing program for your business know where your audience are, to be successful online. Who will you sell to – Your Target Audience? A start-up or an online brand that does not have an audience profile to look back at. As a brand, you already have an ideal customer, that is frequenting your brick and mortar store. You have a clear idea of who you wish to target offline, however you might not realize that the online profile of the customer coming to your brand could be broader than what you imagine! So it is important to do your research before coming up with an online profile for your audience. For eg: If you are a coaching institute, you might target students appearing for the board exam, however if you offer online coaching, your students could expand to those giving exams from night schools, open schools and even enthusiasts who wish to learn. As you do not have a metric or database to rely on, your target would generally be a little broad, which you will refine as you move forward in your marketing strategy. When it comes to creating an audience profile online, you can and should do a lot more than ask them to fill survey forms. While survey forms are good and important, you can only send it if you have a database. This was the earlier method where the core focus was on connecting with the audience via surveys or one-one, however with the current scenario in business this might not be possible always. If you have a business idea, it means there is a need for it. You know who would be looking for your product or service. Even if it is a product for which a need is to be created, you will still have a rough profile of who they are. Start with them by asking them to fill out a Google form or a survey form at your store, inauguration or any other customer connect program. This is another simple way to know more about the online behavior of your customer. See what your competition is doing online. Follow them on various social media networks and understand how their customers interact with them. Ask your follower’s leading questions that will help you refine your strategy. Connect with them on a personal level and explain how your product can solve their problem. Take a poll, do a twitter chat or a FB Live. This will help you broaden your buyer persona. Google analytics churns out a lot of data that can help you target your audience at the broad level. It will give you information like the demographic, from where is your audience coming, how long are they present on your site, what is their behavior etc. Make good use of this information. Before you start your social media plan, understand where your audience is residing. Not all social media channels are built for all kinds of audience and hence it is not necessary for you to be present on all channels. I strongly advice all my clients to pick their best channel and focus their energies on improving there first. 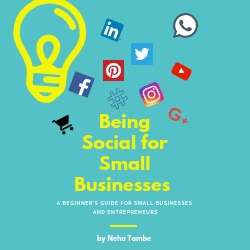 For eg: If you are a lifestyle brand, it is essential for you to focus on Facebook and Instagram, however Linkedin or Twitter might not be sending a lot of traffic your way, atleast not for purchasing products. Facebook groups is where you will find people with similar interests under one group. If they have an interest in your product or your tips, they will be most receptive to your questions or products. Just don’t make is a sales pitch, make it about them and their needs. How can you or your product help them, will decide the course of your engagement. With the growth of social media, micro influencers are a strong link in the marketing chain. Connect with these micro-influencers eg: bloggers, instagramers to try your product and review it. You can also ask them to experience your services before they write about you. These micro-influencers have a decent enough following and they can make some noise for you as you start off on your social media marketing plan. Apart from this, if you are offering services that are educational or maybe deal in digital products, you could guest post in various blogs. You could even offer the product or services for a discounted rate to the followers of the blog and ask the blog owner to write about it. This way the blog owner has an exclusive deal for his audience. This is called affiliate marketing, but this is not the only way it is done. Podcasts are similar to blogs, but they are audio files. This is recommended if you have digital products that you wish to talk about or services that are not restrained by physical locations. There are a lot of channels on Podcasts and you can connect with them to see if they would be interested in featuring you. The above listed methods will help you identify and connect with your Audience. This is your data that will help you come up with a social media marketing plan that is relevant and highly converting for your business. What an information packed post! great start to the AtoZ! Best of Luck! I agree there is a shift in where and how easily now we can research and gain insights into our audience/ potential users. Thanks Neha ! That’s a very useful post, especially for people like me who just focus on content and not the other things that go with it. Looking forward to your posts this month. Audience research is vital to any project, regardless of whether it’s film, video games or television shows. It gives an insight into what the audience enjoy and look for in a product and ultimately help the producers to bring in as many of their target audience as possible. There are various methods of gathering this information but the most common would be questionnaires/surveys. It allows the producers of the product to ask the questions and get direct yes/no answers. Without audience research, a film could be produced and could completely miss interpret their target audiences’ interests, habits etc and the film just wouldn’t sell as intended. This is a very helpful post. I learnt something new today and I am sure all this month there will be a lot of learning through your posts. All the best Neha for A TO Z! What a well-researched post, Neha. I am in awe. It is such a useful post for people like me who knows zilch about digital marketing. I will definitely drop in to read more. This is such an informative post. Thanks. Well researced one. I didn’t really know how to analyse your audience and use it to your benefit to enhance the blog, promotion etc. Though i have gathered quite some knowledge in the last few months. This was a very detailed overview. Bookmarked! Often we rely on a focus group of one- someone we know…it’s better to survey, you feel more confident and you can convince the client better! Made me go back to my MBA days. This is such a relevant post for all of us. Yes, it’s important to know which social media platform is important for your brand and know how to target it towards your audience. A very informative post. Audience and their knowledge is important in any business. Pinned the infographic for later readings. Well researched, objective and educative post Neha. Quite information and a useful post. A great start for the month. From my business experience, I must say, Audience-Targeting is the most important thing in marketing. Because when I don’t know to whom I will sell, or actually which type of people with what kind of interests will buy my product, then I will start considering all the people as my customers and this will surprisingly increase my marketing cost. Because never all the people can be your customers until your business has an extraordinarily high-level quality. In this cases, sometimes the marketing cost becomes so high that it cuts-up all the profits. I have gone through your whole article. Your topic has seemed immensely important to me as a small business holder. It is so valuable and super-brilliant for all the small business holders like me & for the people who are gonna start a business in the real business world. Thank you for choosing such an important topic, Neha. Hope to see more such articles from you. Best wishes! 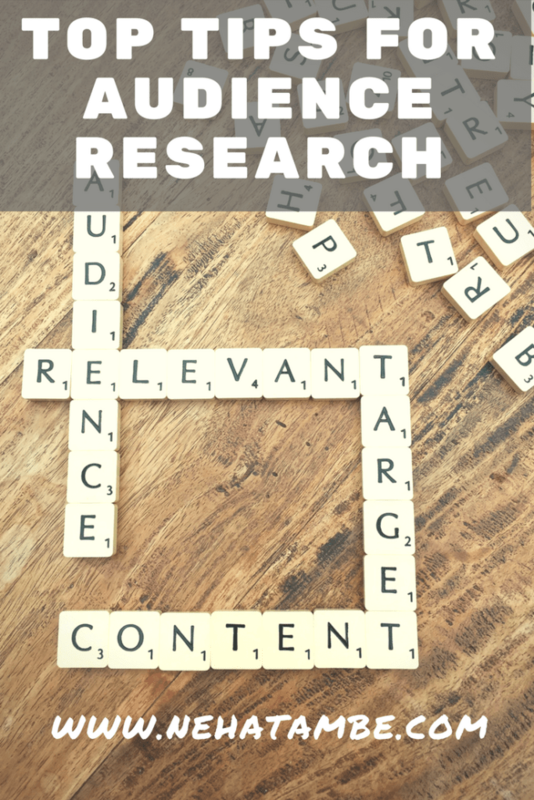 Such an amazing post, very helpful content, audience research is an important thing for every entrepreneur and small business owner, in order to get successful, one must do a thorough research on the target niche audience and then start promoting the start -up or whatever business you are involved in.